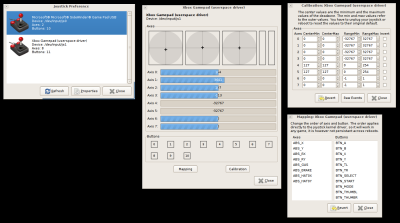 jstest-gtk is a simple joystick tester based on Gtk+. It provides you with a list of attached joysticks, a way to display which buttons and axis are pressed, a way to remap axis and buttons and a way to calibrate your joystick. Even when your joystick is working mostly fine, you might want to give it a try, as the calibration lets you get rid of overlarge default deadzones that many joysticks use and that are a a noticable problem in some games. jstest-gtk is released under the GPLv3+. Update for 2018: The /dev/input/jsX interface that jstest-gtk uses is largely obsolete. Most newer software will use /dev/input/eventX, so neither the calibration nor the remapping functionality will have any effect. 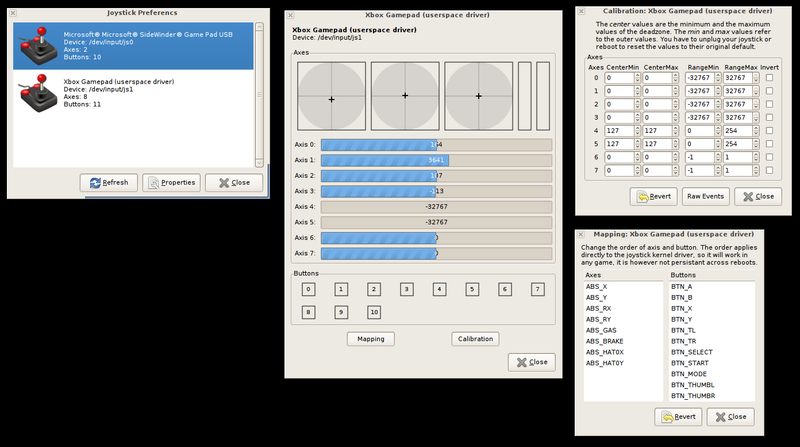 evtest-qt is a similar piece of software that works with the new interface, however it won't be able to provide calibration or remapping either.